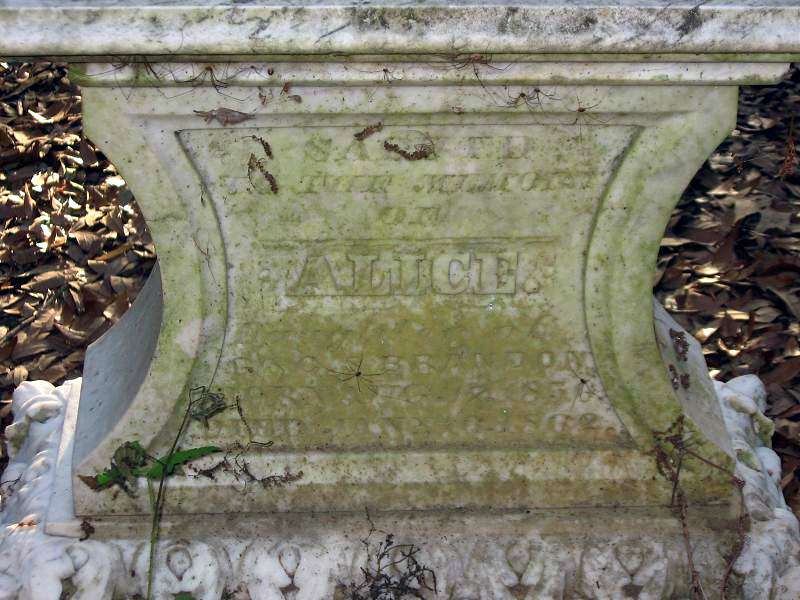 1862 was a tragic year for the Brandon family; by the time the year came to a close, they had lost three of their young daughters. Six year-old Alice was the first of the three to perish, just before her eleven year-old twin sisters, Agnes and Sarah. One can only surmise that an illness had taken the family that year and that Alice, Agnes, and Sarah fell victim to it. Young Alice died only three days before her older sister, Agnes. who was born Aug. 19th, 1856. 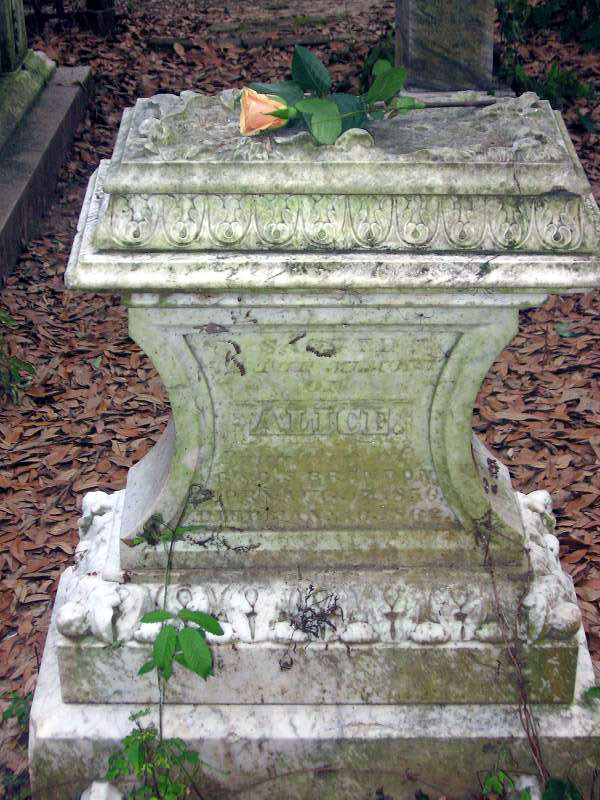 Died Jan. 16th, 1862.